To create signage that will direct visitors to the various areas of the museum for tours while communicating and embracing the Museum’s mission and purpose. 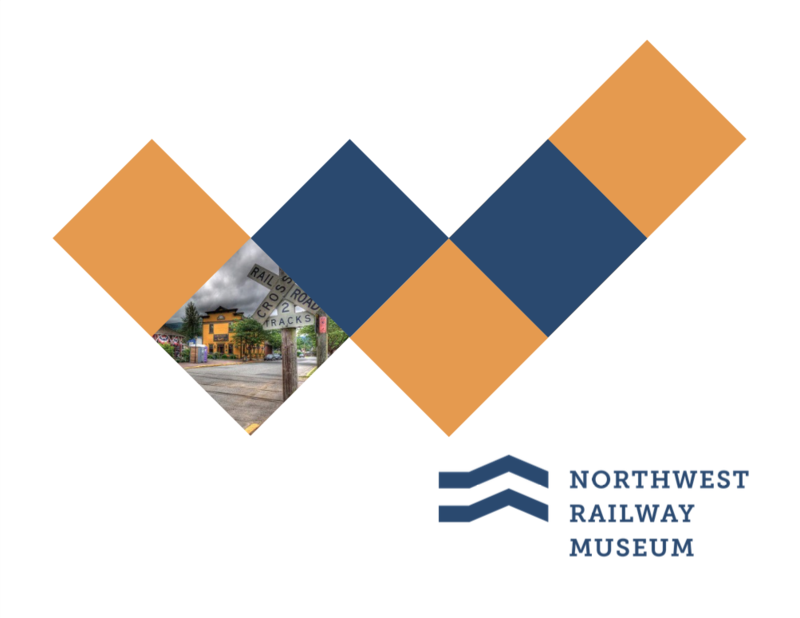 NW Railway has created a state of the art museum located in Snoqualmie, WA. 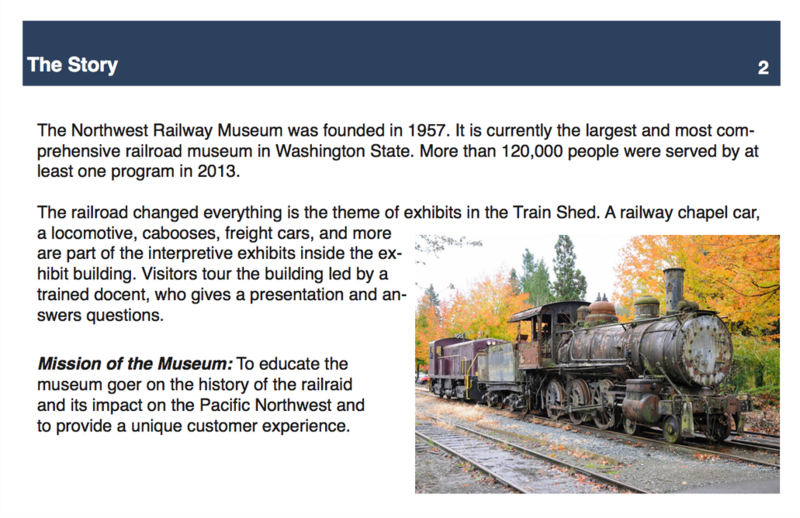 They have spent millions of dollars creating a historical state of the art destination for their target audience. Museum goers visiting the property often find it hard to find the property as well as navigate to the appropriate destinations once arriving at the property. Signage on the property consists of paper signs in the windows and is often overlooked by museum visitors. 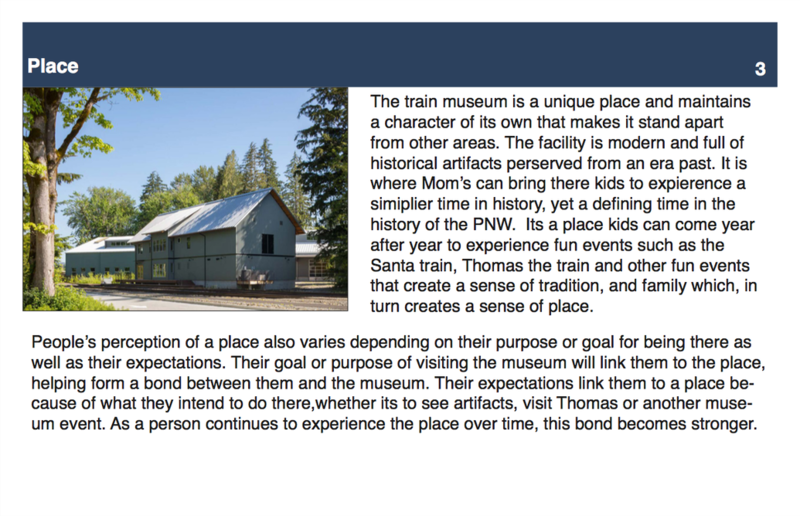 To direct visitors to the train shed, education building and restrooms using objects and/or signage that fits the building architecture as well as maintains brand identity. They are looking for unique and fun educational experiences for their family to enjoy together. They are typically 25 to 50 years old, well-educated, professional, traditional, fun, creative, and hi-tech minded women. They are looking for unique and fun experiences for themselves and friends to enjoy together. They are 16 to 35 year sold, well- educated, professional, traditional, fun, creative, and hi-tech minded.